Pressure Tech - Quality Pressure Regulator Manufacturers - WE PRE-QUALIFIED FOR USE BY ADNOC! 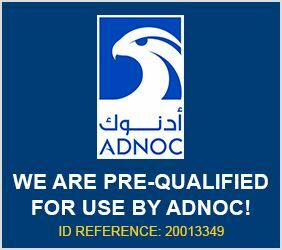 We are pleased to announce that Pressure Tech is pre-qualified for use by ADNOC! Thanks to close co-operation with our UAE authorised reseller, Belfast Controls, we have received confirmation of our ADNOC vendor ID reference number (20013349). This means that Pressure Tech's pressure regulators are on ADNOC's supplier list for consideration on future projects. Exciting times at Pressure Tech as we continue the expansion of our brand across the globe!